Good morning everyone! 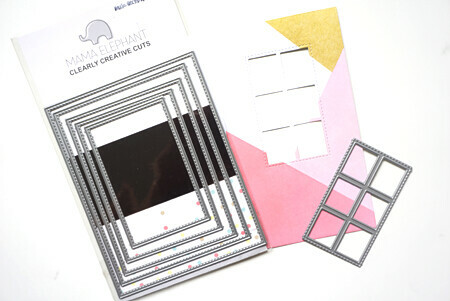 I’m over at Mama Elephant‘s blog today and I’ve got a card to share with you using the May release Basic Rectangles creative cuts. May to September is basically “wedding season” here in Vancouver, so I’ve got a simple wedding card to share with you today! First, I blended a few colours onto my card base. Since the wedding invitations had pink bits here and there, I decided to incorporate their wedding’s colour scheme into the card. I did some colour blocking using dark pink, light pink and a little bit of gold. I then die cut the window in the middle using Basic Rectangles creative cuts. 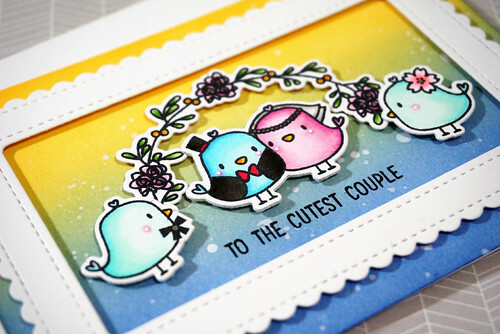 I whipped out the perfect stamp set for weddings – Oh Happy Birds stamp set. I stamped out the flower wreaths, the two little birdies and the bell and coloured them in. On the inside of the card, I stamped the sentiment “Oh Happy Day” from the same stamp set. This sentiment would appear in the window from the card front. 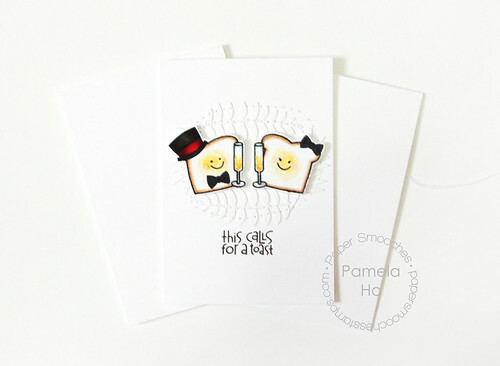 I stamped “To The Cutest Couple” onto the front of the card and prepared to adhere all the little bits and pieces onto the card front. And here you go! The complete wedding card that left our house a few weeks ago! I created a kraft envelope and stamped out the flowers from Pretty Peonies and added some white and gold specks to the envelope. You can see the sentiment peaking out from inside the card! Good morning everyone!! I’ve been waiting patiently for this set for the longest time ever since I saw a sneak peak of it from Simon Says! And I’m sure most of you were waiting patiently for it as well! 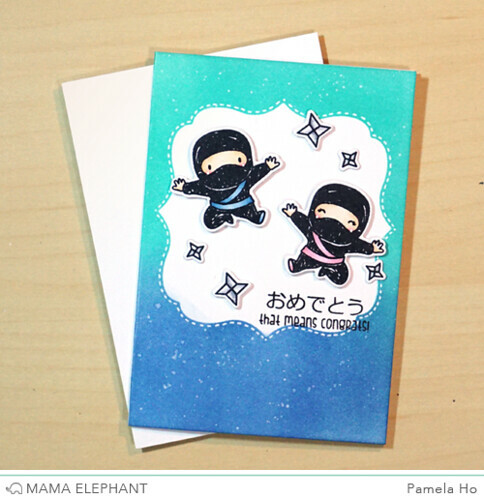 For my project, I turned one of the tiny ninjas into a female ninja so I could put two together for a wedding card! Wedding ninjas? Why not! Plus I love that Japanese sentiment for Congratulations! Hello everyone! 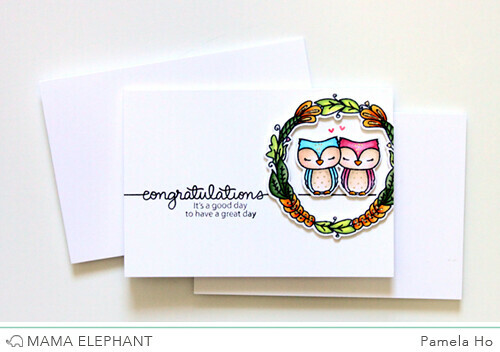 I’m sharing a card I made for Mama Elephant’s November release – Oh Happy Birds. These birds are adorable! And you can make an entire wedding party out of these birds along with the accessories. I did some partial die-cutting with the Framed Tags – Madison Avenue so make a slightly smaller frame since my cards are usually sized a little smaller (3.5 x 5). And a complete wedding party! The sakura on the maid of honour is from Lunar Extras and the ribbon on the best man is from Purrfect Pair. 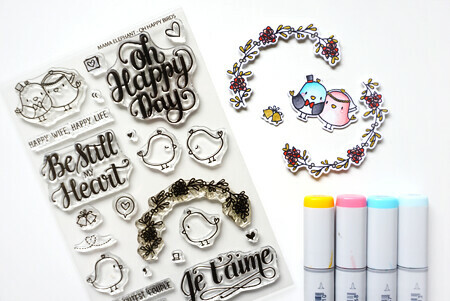 It’s Pep Rally week and we are here today to share a sampling of the NEW Paper Smooches AUGUST release with you! FOUR new stamps and EIGHT new dies will be available to purchase on August 31st at 8:00pm pacific time. Once our release goes live, you will find our new products HERE. Deadline: You have until midnight PT on Sunday, August 30th to leave a comment. Please check the Paper Smooches blog on Monday, August 5th to see if you are one of the FOUR lucky winners. I gave some champagne to these buttery toast and stitched some leaves (using the new foliage dies!) behind them for a romantic feel to it. I stamped the “congratulations” sentiment across the middle of the card and extended it a little bit to the right with a black liner. I then stamped, coloured and cut out an owl couple and the wreath from Charmed. I adhered the owl couple onto the sentiment, to make it look like it’s perching on the line. The wreath ended up sticking out a little bit (my cards are usually 3.5 x 5) so I trimmed off a part of the wreath. 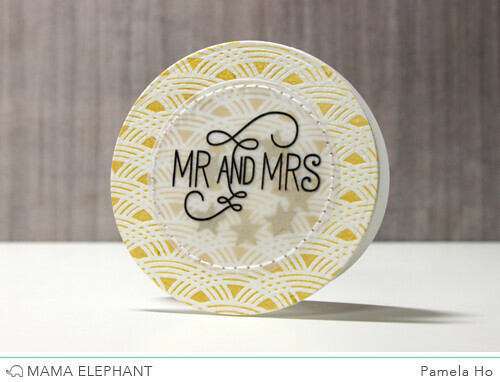 Head on over to Mama Elephant’s blog to see what the rest of the team created! Good morning everyone! I have a video to share today *gasp* YES! A video! I apologize for the mumbling. I’m not good with talking while I work. My phone storage maxed out near the end so I had to piece 2 videos together. Nonetheless, hope you enjoy it! 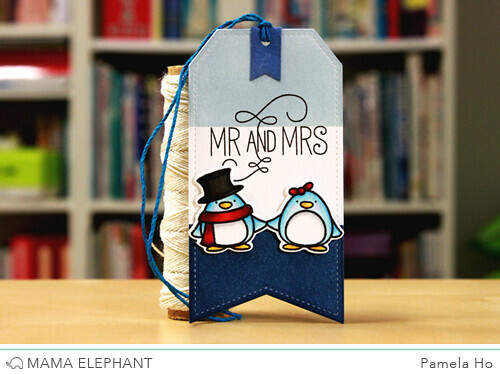 Today, I’m using the new coordinating creative cuts for Polar Pals as well as the standalone creative cuts Tags a Lot for my project. Visit Mama Elephant blog to watch the video! Welcome back! 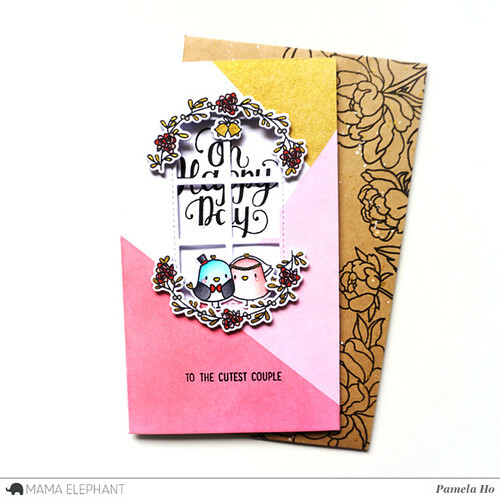 Today, the DT girls at Mama Elephant will be highlighting a gorgeous set of sentiments released this month. 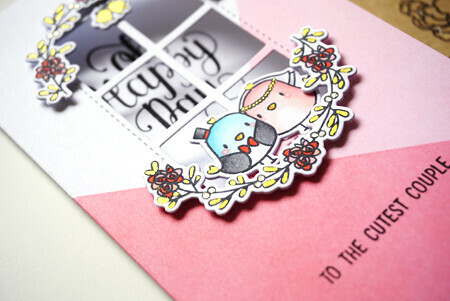 Bountiful Blessings is a stamp set with eight fancy sentiments, perfect for all those celebratory occasions. I stamped the sentiment on a piece of vellum and stitched it to a piece of gold-letterpressed paper. 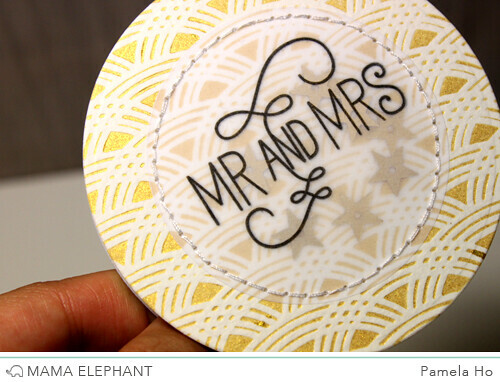 I inked up an embossing plate with Delicata gold (again!) and embossed it onto a piece of watercolour paper for a faux letterpress look. The card was finished off with some gold star sequins inside the vellum pocket. Want more inspiration? 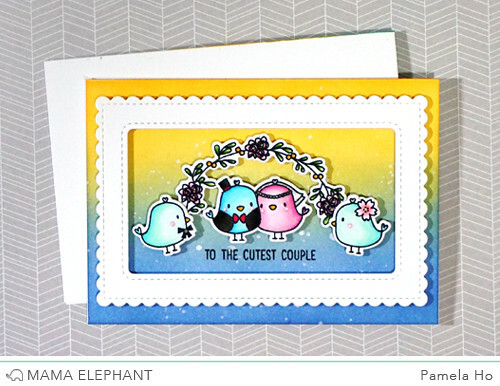 Hop over to Mama Elephant blog to see what the other girls did with this stamp set!